Learning Resources might not have the snappiest name in the business, but they have some of the most interesting toys. 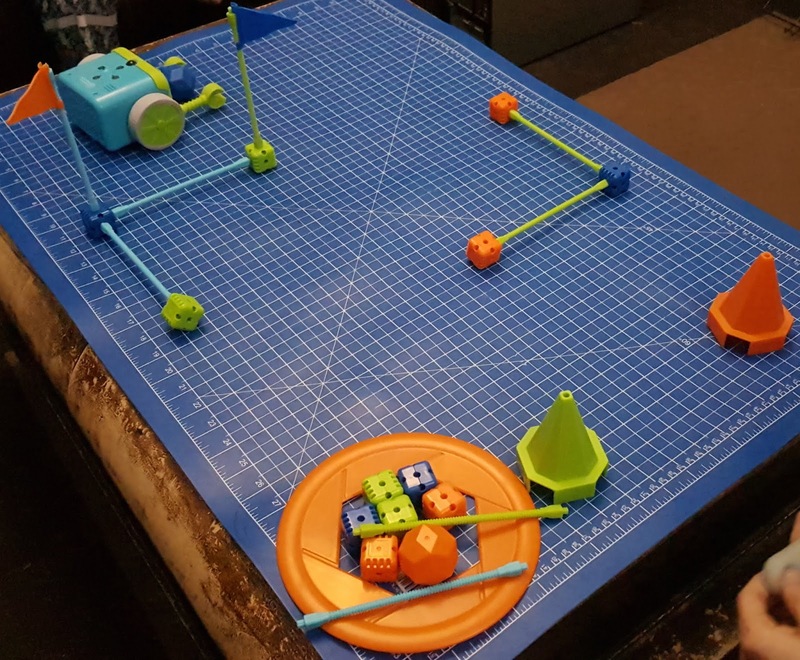 Designed, as you'd expect, to stimulate your child's brain while they play, the hardwearing and long-lasting toys and games from Learning Resources are not only used at home, they're also popular in schools and nurseries. 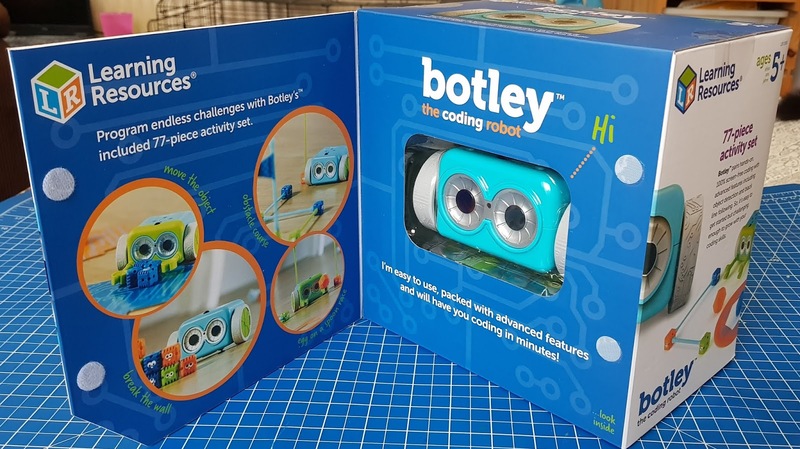 They've sent us the Botley The Coding Robot Activity Set to review. This is aimed at children aged 5-9. My youngest child is 8 and he's reviewed with a 9 year old friend. Opening the box is exciting because it has a little window on the front and is full of colour. 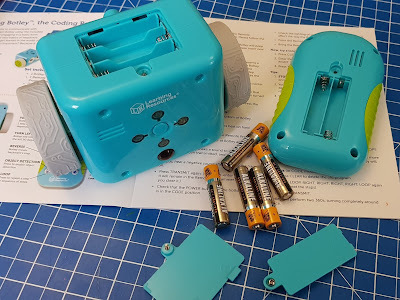 You will need 5 x AAA batteries (3 for Botley and 2 for the Remote Control) and a tiny Phillips screwdriver, otherwise it's ready to go straight out of the box. Minimal packaging, nothing to undo and a useful storage box for afterwards. Christmas morning-friendly as long as you've got those batteries. There is loads to look at and encourage interest. Lots of "what does this do?" and it's all explained in the instruction booklet which is very thin actually. Very concise but still clear. 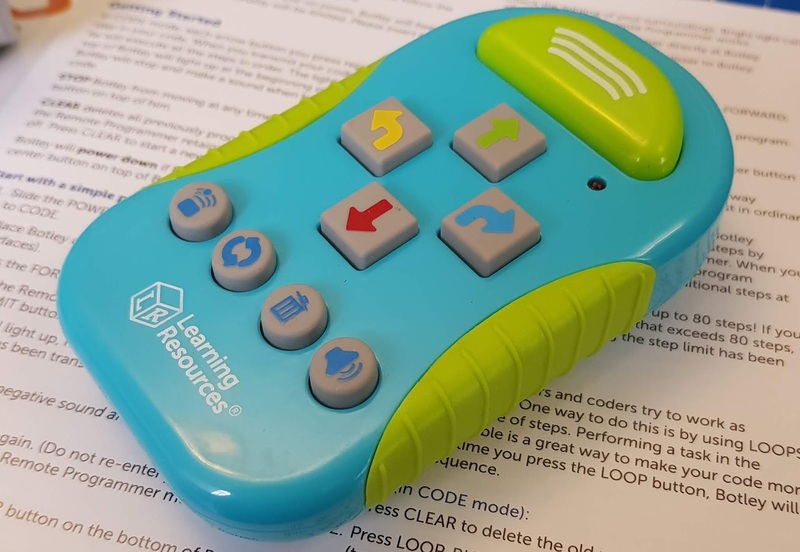 Perfect for young children - they don't want to spend half an hour reading a manual, they want to get stuck in! 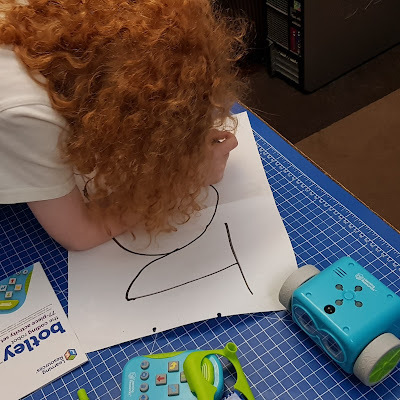 I think it's brilliant that there is a Remote Control and your child is not expected to have a phone or tablet to control Botley. Young children don't always have access to phones and even though this is technology-based, it's nice to be away from screens doing something different. Botley has 3 setting - Off, Code and Line. Switch to Code and programming Botley is easy using the enclosed Remote Programmer. 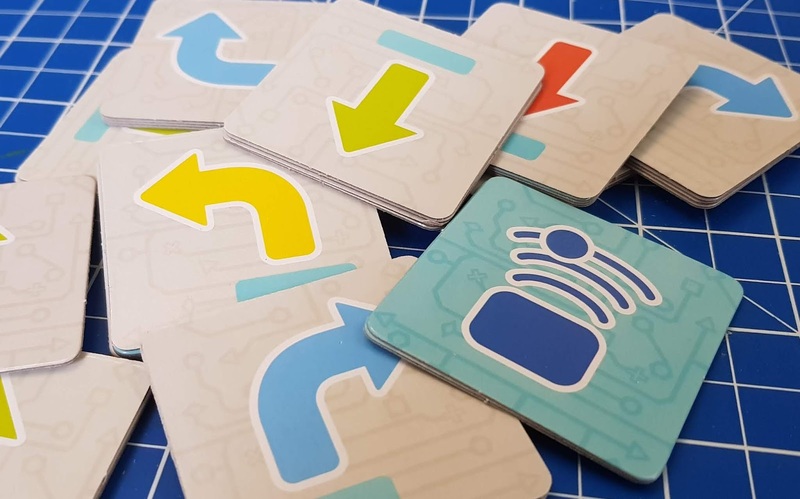 The commands are simple to understand and your child can use the pack of Coding Cards to either plan their commands or keep track as they program. A complete novice can start by making their robot walk forward a step and within minutes they can make him dance, push toys and walk about wherever they fancy. 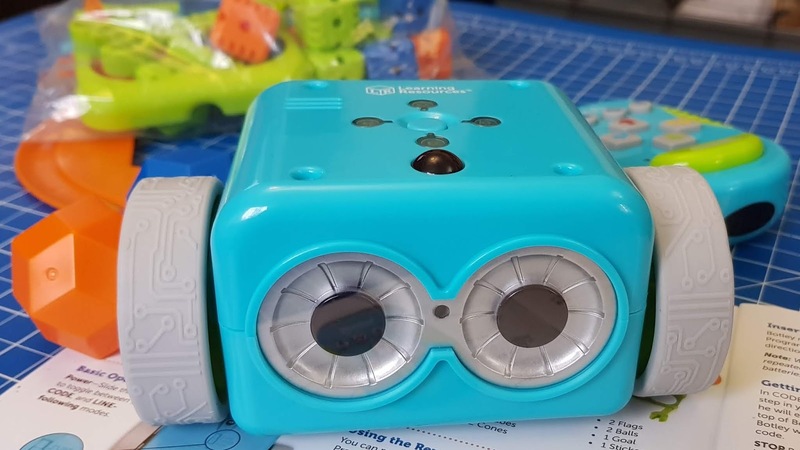 They'll have expanded their STEM skills (science, technology, engineering and maths) without even breaking sweat. 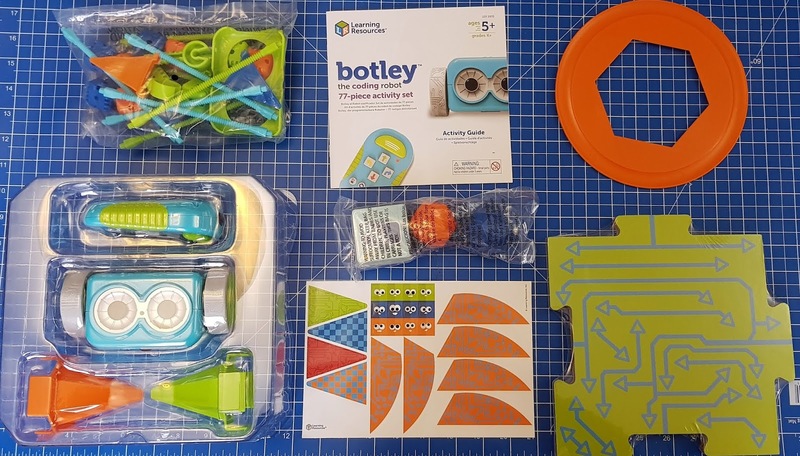 Botley and his accessories can be used to create mazes and pathways, and you can use the objects as obstacles or score points for bumping into them. Botley doesn't stop there though, he has detachable arms which help him perform even more tasks, such as moving balls and blocks and scoring goals. 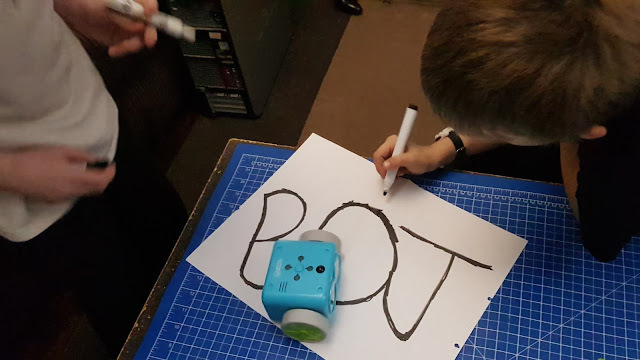 With his arms attached Botley doesn't use Object Detection, but when he does he will walk around objects instead of hitting them. There's a lot of scope here and the parts in this set can be used in a multitude of ways. The Botley The Coding Robot Activity Set is a fabulous set which has loads of scope for a huge range of activities across a broad ability level. 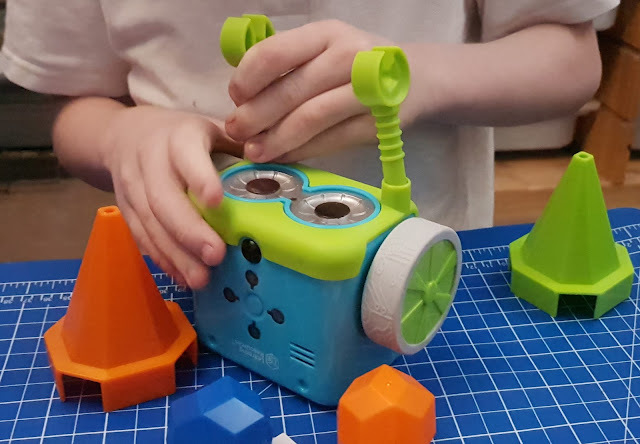 It's an ideal introduction to coding for young children and they'll learn the basics of block programming without even realising or needing a screen. 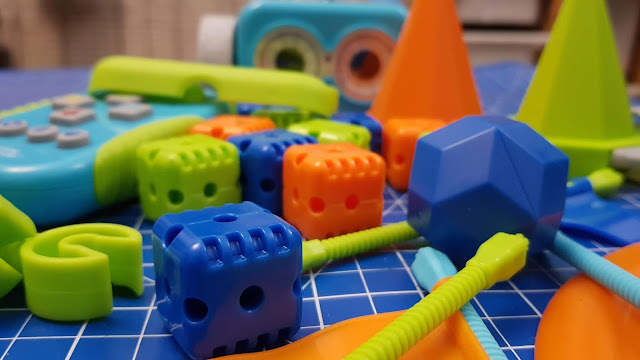 Learning Resources have a huge range of toys and games to support children's learning and give them much more than something to fill their time in a fun way. 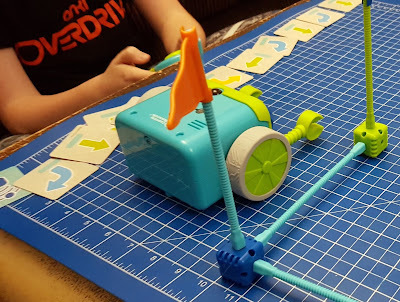 Their products are durable and strong and designed to outlast your child's interest. 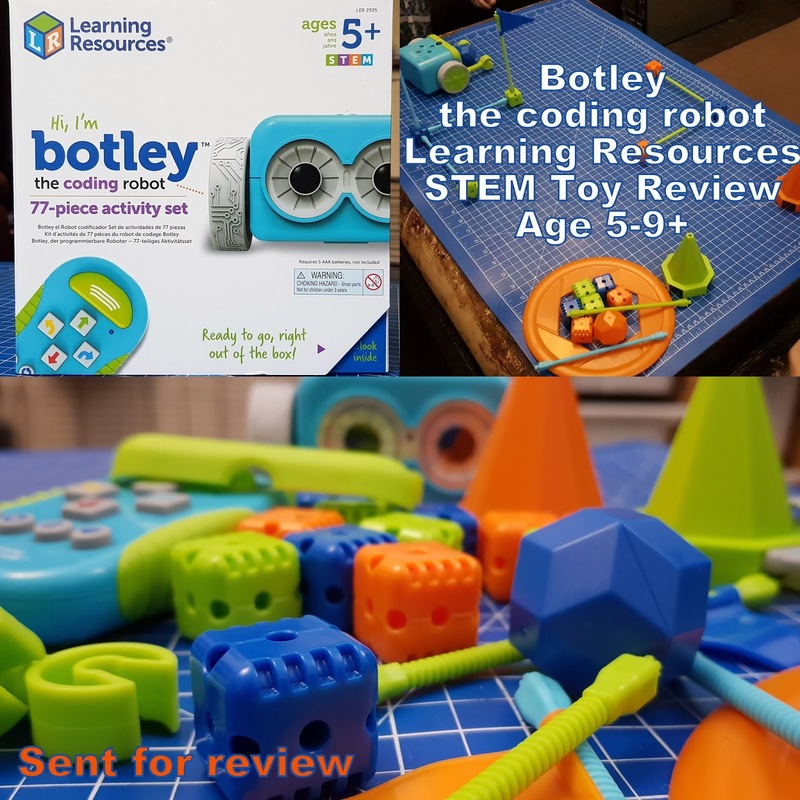 We were sent Botley for review.